Golden Sower Nominees 2019 – 2020 at TRaiLS! The Three Rivers Library System has added new book kit titles to borrow! Check out our Libib site at trails.libib.com. A new school story by the beloved author of Frindle! Sixth grader Alec loves to read! (Don’t we all?!) But when his school principal tells him to start paying attention in class — and to stop reading — Alec knows he has to take matters in his own hands. In order to not lose all of his reading time, he starts a club where he’s the only member. But things get tricky when people start to join! Are the kids joining the club more interesting than the characters in his book? 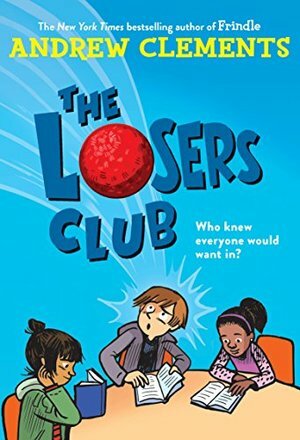 Find out in this middle grade novel! No one enjoys statewide assessment tests, not even the teachers! 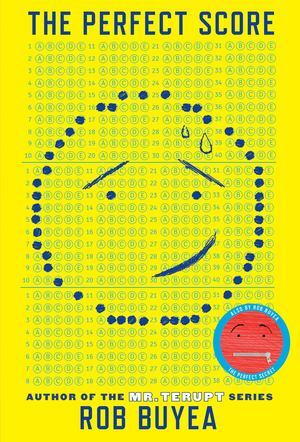 The pressures of sixth-grade are bad enough without the extra pressure of doing well on an important test. Follow Mrs. Woods’ sixth-grade class as they scheme their way into acing their test! This scheme brings together the most unlikely of characters: Randi, the top gymnast; Gavin, the football jock; Trevor, who hates being home more than he hates being at school; Scott, the big-brain with a huge heart; and Natalie, the know-it-all lawyer. Can this group band together for the right reasons? Can the whole school get a perfect score? Find out in this middle grade adventure! Want to see a list of all the past and current Golden Sower Nominated titles we have to borrow? Check out our Golden Sower Nominee tag! Have questions? Trouble logging into Libib? Get in touch with Chelsea at trls.assistant@gmail.com. Previous PostTwo Locations for the 2019 Summer Reading Program!Next PostCoffee and Book Reviews with Sally Snyder! Two Locations for the 2019 Summer Reading Program!